Wish to discover what it feels to be a nomad? Would you like to witness nature at its most glorious best? Are you willing to get your adrenaline pumping and your blood rushing as you scale the Himalayan mountains? In short, are you an adventurer? If yes, then The Lodge will make all your thrill-dreams come true! Enjoy trekking in Himachal with our customized mountaineering solutions. Just as Delhi is not the representation of India, Shimla also does not represent Himachal Pradesh. All the splendor and Grandeur of Himachal lies in the valleys and the Himalayan ranges spread across the state. One has to walk in to the interiors, where roads fail to take you. Trekking gives an opportunity to the wanderer to see from close proximity the land, the people and the culture .There is a big range of trekking trails available in the Pradesh, long, short, easy and difficult treks can we found in abundance catering to the needs of different categories. 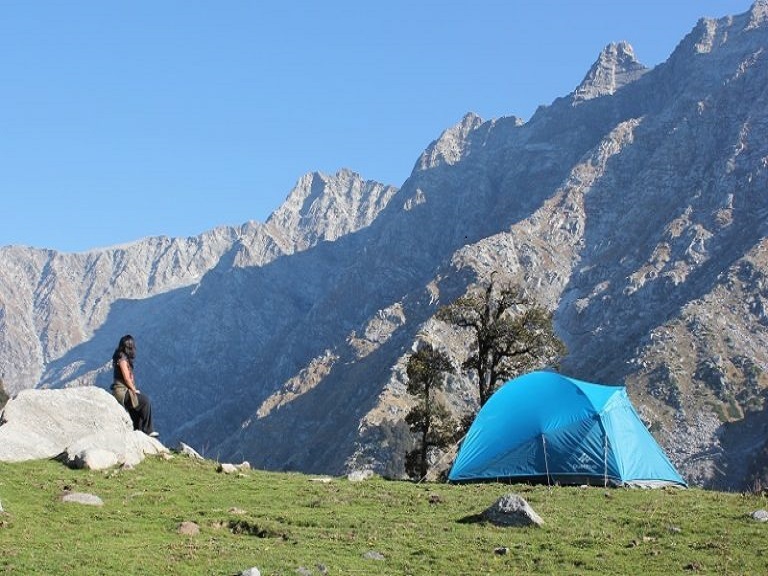 Dhauladhar with stations like Dharsmshala and Palampur at its foothill is another attraction for trekkers of all levels. Detailed trekking routes in different regions mentioning distance, heights and time involved are separately available. The Lodge, in association with its sister concern - HIGHLAND TREKKERS organizes trekking and mountaineering expeditions in Dharamsala, Mcleodganj and Dharamkot to all sorts of remote yet exotic and wonderful destinations. You can also contact us for: ac& non ac innova & all kinds of taxi services, deluxe coaches, volvo semi sleeper for all over India.